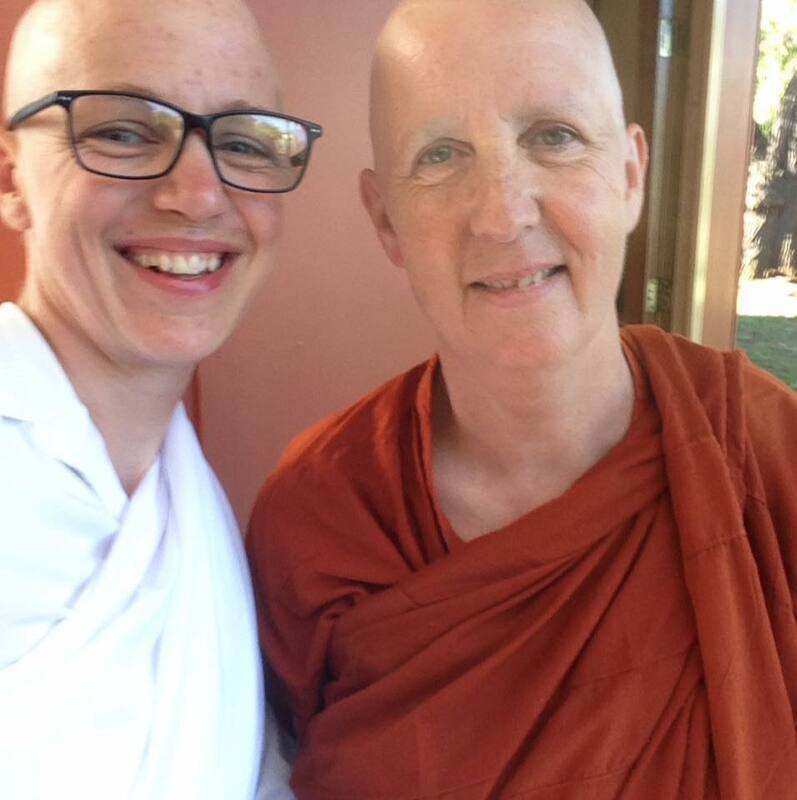 On New Year’s Eve we had a lovely ceremony which transformed the secretary of the Buddhist Society of South Australia [Michelle] into our new nun Anagarika Pasanna. 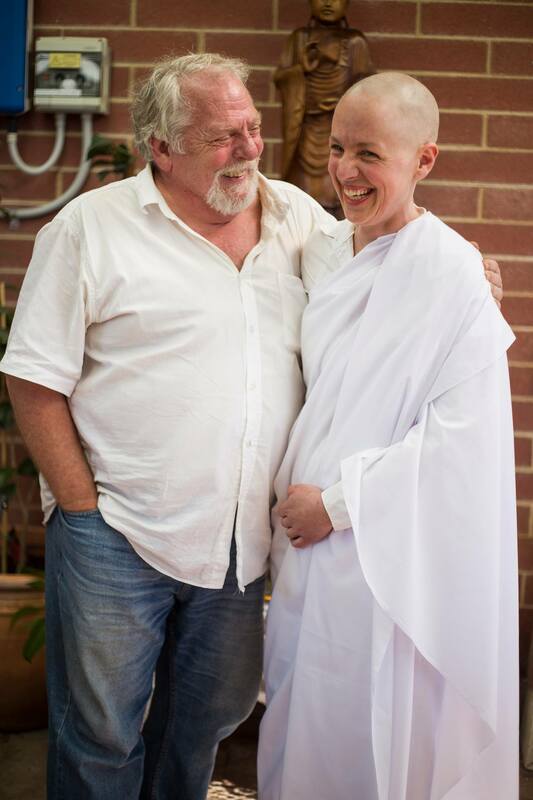 We were honoured to have our local Sri Lankan Bhikkhu, Bhante Sumedha Thero present for this auspicious occasion. 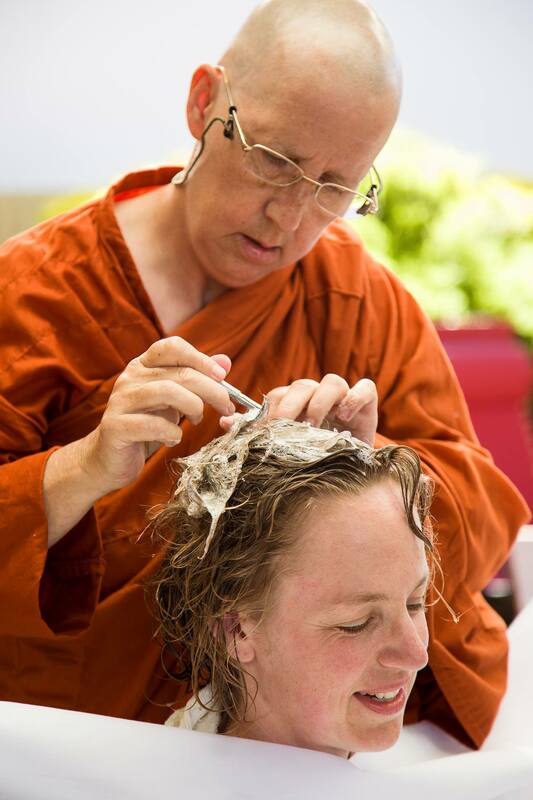 While I was shaving our aspirants locks, Bhante Sumedha was chanting gatha’s of blessings in Pali. 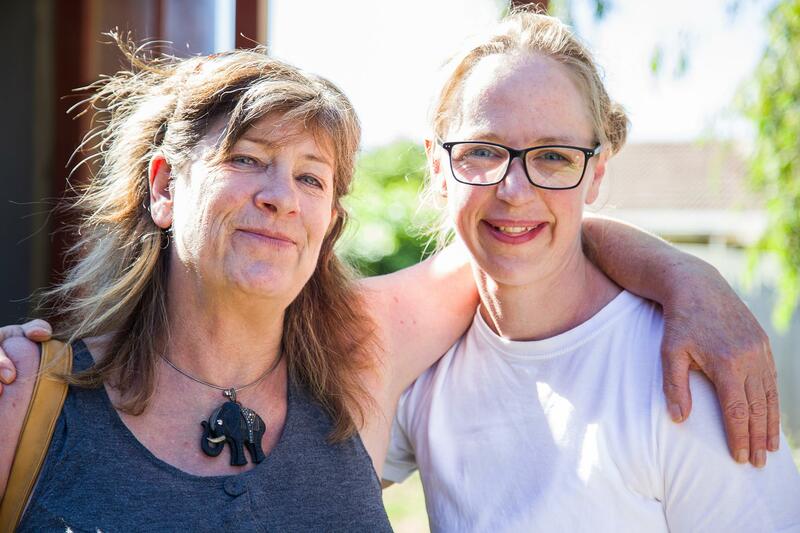 Our friend Susan followed up with chanting Mangala suta in English as the shaving continued. We were so glad to have proud parents Susanne and Padraic present to welcome our new nun. Around 25 friends joined us in this celebration. We are glad to be able to share some photos of the day from Shaun [now] and Viraj[coming soon]. After the ceremony, four of us settled down to see in the New Year from our meditation cushions. Perhaps the term Jhanathon was rather a high aspiration, but nevertheless we braved the sounds of the party next door watching the in breath and the out breath. Then later we chanted through the midnight fireworks. Wishing to do good and refrain from harming we aim to express "right speech" in our on-line writings. "A statement endowed with five factors is well-spoken, not ill-spoken. It is blameless & unfaulted by knowledgeable people. Which five? It is spoken with a mind of good-will."